Large collection of greate Title & Text, transitions, music, etc. Windows Movie Maker is the free video editing software for Windows 7, although it has been discontinued by Microsoft on Janauary 10, 2017 and replaced by Windows Story Remix (only for Windows 8/10), you can still download it on many platforms. For video editing beginners, it is still a good choice since it's free and easy to use. When we are talking about Windows Movie Maker, we are mostly talking about the Windows Live Movie Maker. It can be confusing what the difference is between Windows Movie Maker and Windows Live Movie Maker. Many people believe that the two versions are the same, but the programs are very different and serve different purposes depending on the version. To help you understand the differences between the different Windows video makers easier here is Windows Movie Maker vs. Window Live Movie Maker. Got trouble with Windows Movie Maker? Check the troubleshooting guide or best alternatives. Wondershare Filmora is the best Windows Movie Maker Alternative. It is easy to use yet powerful. You can trim, crop, merge, split your video clips with the built-in basic video editing features. What's more, you can achieve some advanced features such as green screen, color correction and video stabilization in Filmora easily. You can also find lots of modern and fashion video effects like intros, text, music for niches like Beauty, Vlogger, Travel, Education, Game, etc. There are many differences between these two versions of video editing software. Here are some of the main areas that are different. Windows Movie Maker has a simple interface that is made up of a Timeline, Storyboard, and the Preview. The Timeline is where you edit the videos and audio, which is done separately. Windows Live Movie Maker does not have the Timeline, Storyboard, and many of the menus. The design is clean, and all the functions that you need are in the toolbar. 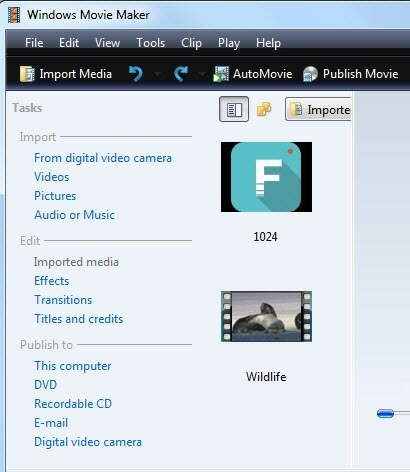 In Windows Movie Maker, you can input videos from the hard drive or capture video using a camera connected to the computer. Some of the media formats available are MP3, WMA, AVI, WMV, and a few other formats. When you are using Windows Live Movie Maker, you can also import images, along with audio and video files. There are more supported file formats to reflect the various options of files that you can import. If you use a file format that is not supported, you will need convert your files into a supported format. In Windows Movie Maker, you can drag the files into the timeline to begin editing your videos. In the timeline you can delete, split, copy, and paste your videos. You have more editing options if you right-click on the video clip. This menu is full of effects, transitions, and you can edit the videos easily with this drop down menu. If you are using Windows Live Movie Maker, you will find that all of the edits you make can be seen in real-time, which make it easy to edit your video while watching it. Windows Movie Maker only allows you to export your videos as DV AVI, and WMV formats. The older versions do not allow transferring the video to Windows DVD Maker to burn the video onto a DVD. However, newer versions have this option, so you can burn your videos easily. Windows Live Movie Maker allows you to save your video as HD or SD files. You can also share the video on Facebook or YouTube right from the program. You will need to sign into your account to do this. You can also easily burn the video onto a DVD from the program. There are also other saving options you can use make the video mobile and email friendly. The process of saving a video also compresses the video and audio less, depending on the file format selected. The Window Movie Maker vs. Windows Live Movie Maker winner will depend on what you are looking for in your video editing program. Since they do not conflict with each other, you can have both installed, and use both if you need to. Or you can choose the best Windows Movie Maker –Wondershare Filmora, to realize all the features in one program.